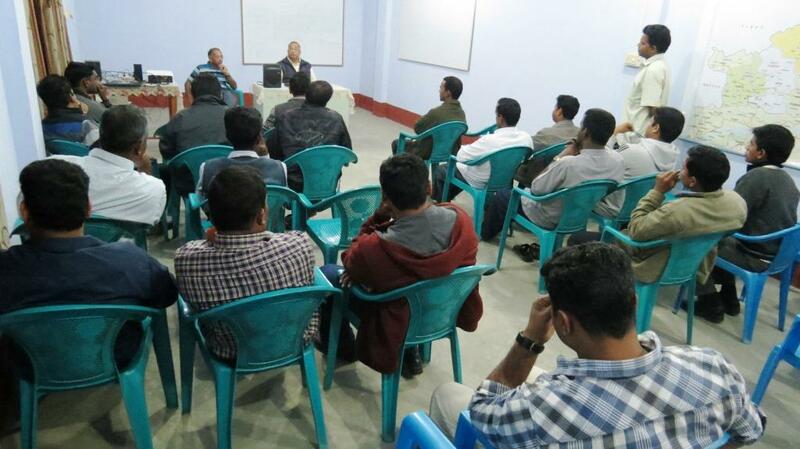 11th December, Tinsukia: There was a day of animation for all the Junior Priests working in the Diocese on 11th December 2103 at Kristu Jyothi Niwas, Tinsukia by Rev. Fr. C C Jose, the Rector of the Diocesan Minor Seminary in Miao. Bishop George Pallipparambil, addressing the Junior Priests gathered for the function, requested them to make Bible as their constant companion. “It helped me look at my Priestly life from a different perspective. To be a professional in what I do as Priest has shaken me up. I thank Fr. CC Jose for helping us to look at our Priesthood in a different light”, said Fr. Joseph Talangani at the end of the Animation.